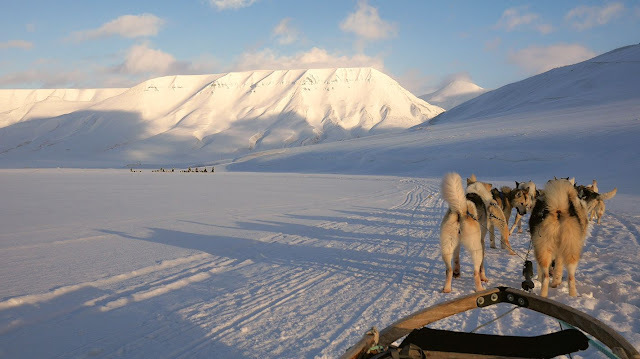 Probably your most environmental friendly transport to have: 12 Alaskan Huskies pulling you around Bolterdalen outside Longyearbyen at Spitsbergen - Svalbard - this fine day in March. In the back the Opera Mountain. The flat summit as this was former a seabed that later was elevated to that level. This Arctic island is only 1.000km away from the North Pole and the last populated place before the Pole itself.